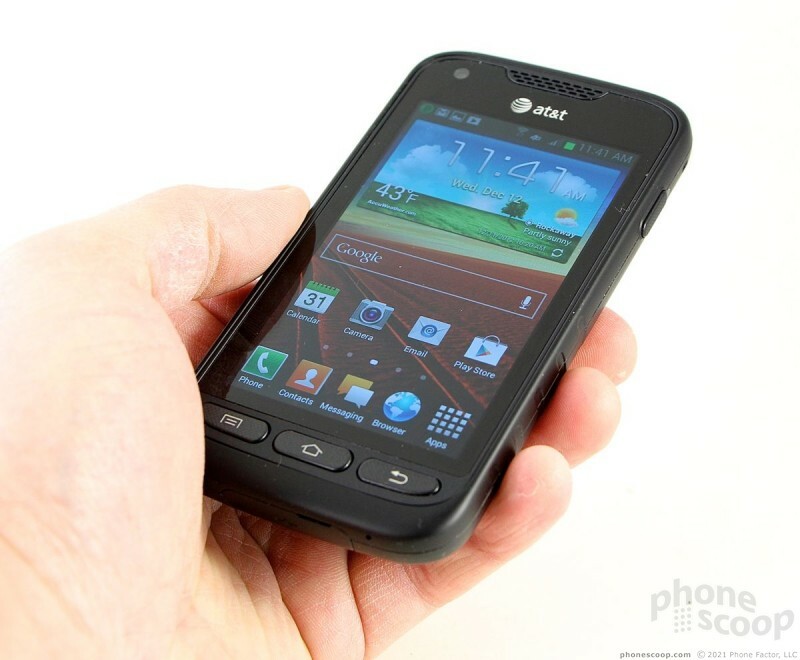 Samsung's rugged smartphone for AT&T offers both brawn and brains. It includes LTE 4G, Android 4.0, and push-to-talk calling, but it doesn't have much of a voice. 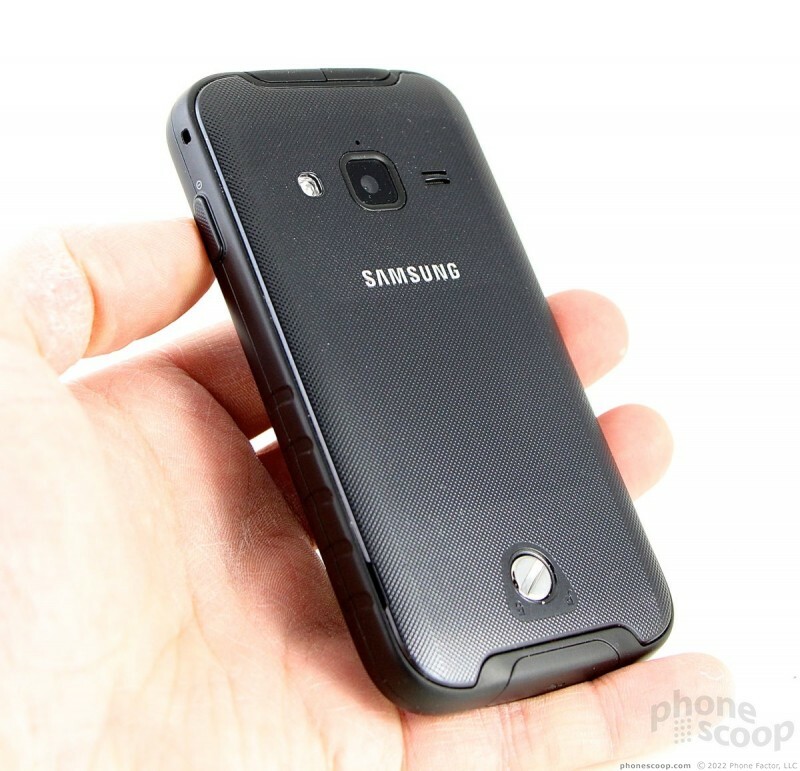 Find out what we mean in Phone Scoop's full review. 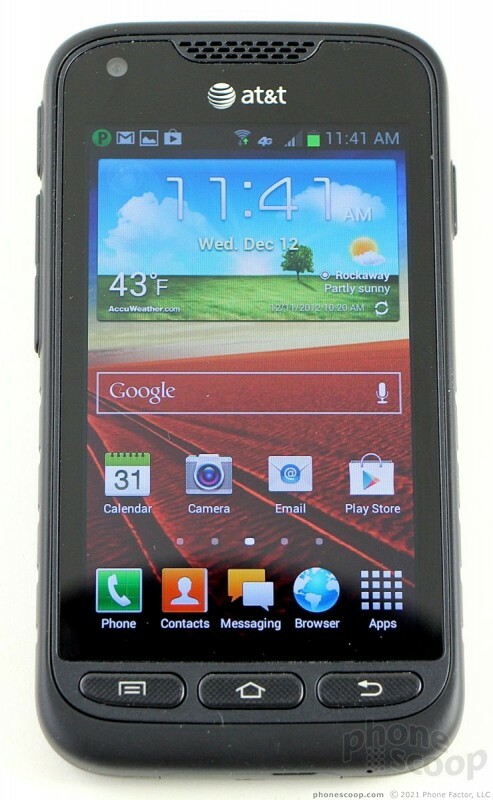 The Samsung Rugby Pro for AT&T is a well-named device. The word "rugby" conjures up images of mud-splattered polo shirts and the burly men wearing them. The word "pro" at its base meaning suggests someone with acute business acumen. 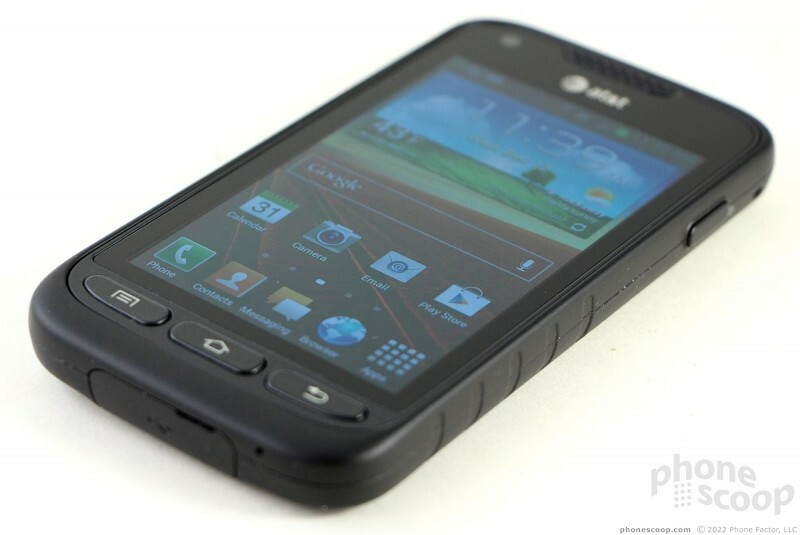 So it is that the Rugby Pro is a ruggedized Android smartphone that offers both brawn and brains. Rugged devices are quite often hideous looking. It's not that the designers want them to be ugly, mind you; they can only do so much with the appearance and still earn that rugged designation. That's why the Rugby Pro is so surprising. It's a handsome smartphone that, on first glance, doesn't betray its inner strength. From several feet away, you'd never guess that the Rugby Pro is a rugged smartphone. 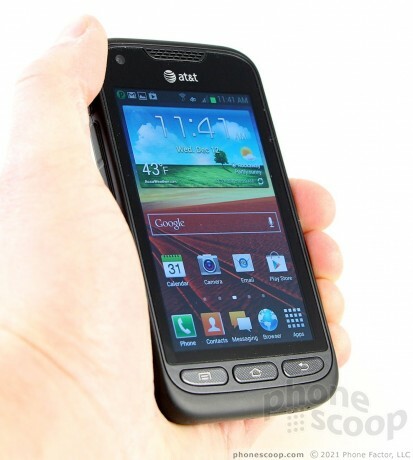 Instead, it looks like any middle-of-the-road handset. At 12.7mm (half an inch), it's thicker than today's leading smartphones, but not by much. It's black-on-black-on-black skin has a matte finish. If it we were to equate its appearance to clothing, it's not a tuxedo, nor even a suit. Instead, it's a black leather jacket, man. The materials of the Rugby Pro are incredibly tough--and they ought to be. The plastics are firm, tight, and feel solid as a rock. It's a dense and hefty device that feels as tough as it is. The smaller display (4 inches) means the overall footprint of the Rugby Pro is manageable. 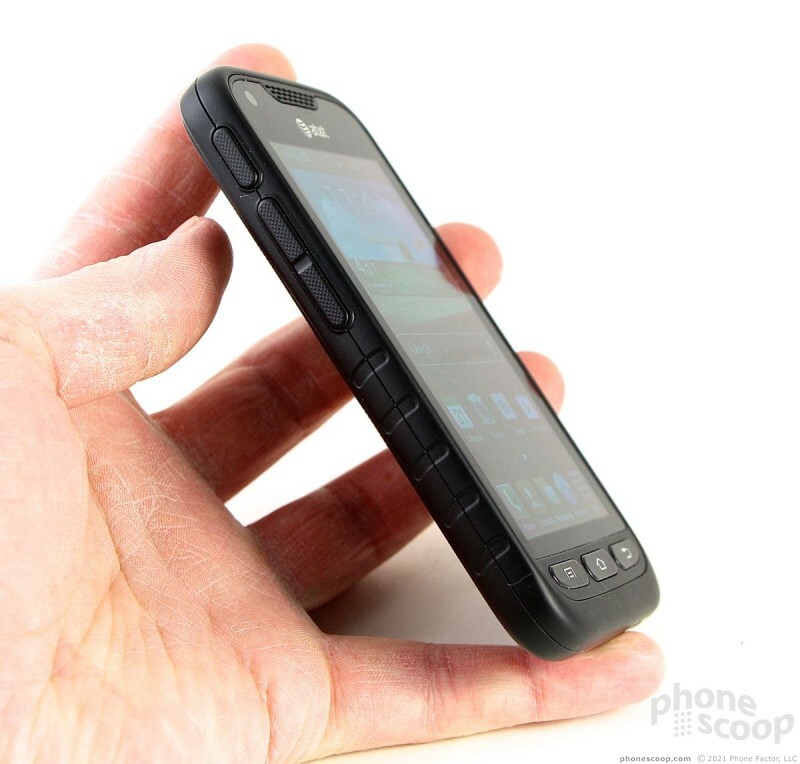 This is a phone that can be squeezed tightly. The plastics offer a mix of textures. The front and side surfaces are smooth, while the battery cover is textured with a diamond-shaped pattern. It isn't a problem to stick the Rugby Pro in your pocket, but the size and weight combined will remind you that it is there. The front face of the Rugby Pro leaves plenty of bezel around the display. There's a large speaker grill above the display, and physical buttons below it. The three buttons (Menu, Home, Back) help to interact with the Android operating system. They are large enough to find and use with gloved hands. Interestingly, the buttons offer both physical and haptic feedback. The physical feedback — actually pushing the button down — doesn't have that much feel to it, but the haptic feedback buzzes through the button intensely. Combined, it is easy to tell that you've pressed these three keys. There are plenty of buttons on the sides. The volume toggle and user-assignable button - which are on the left side - are large and easy to find (yes, even with gloves on). They have the same diamond pattern as the battery cover, which helps them stand out from the otherwise smooth side surface. The same goes for the screen lock button on the right edge. Travel and feedback of these buttons was OK, but not great. I would have prefered better definition on the user-assignable (default is for PTT) and screen lock buttons, in particular. In order to make its MIL-SPEC 810 rating (protection from water, dust, and shock), the Rugby Pro is wrapped up tightly. That means all the ports are covered with thick rubber hatches. The micro-USB port (on the bottom) is buried under a monstrous hatch that requires some real thumbnail work to dig out. The hatch covering the headphone jack on top is somewhat easier to deal with. The battery cover is one of those screw-on jobs. You have to use your thumbnail or a coin to unlock a screw that's near the bottom edge of the phone. The cover can only be removed after the screw has been loosened. 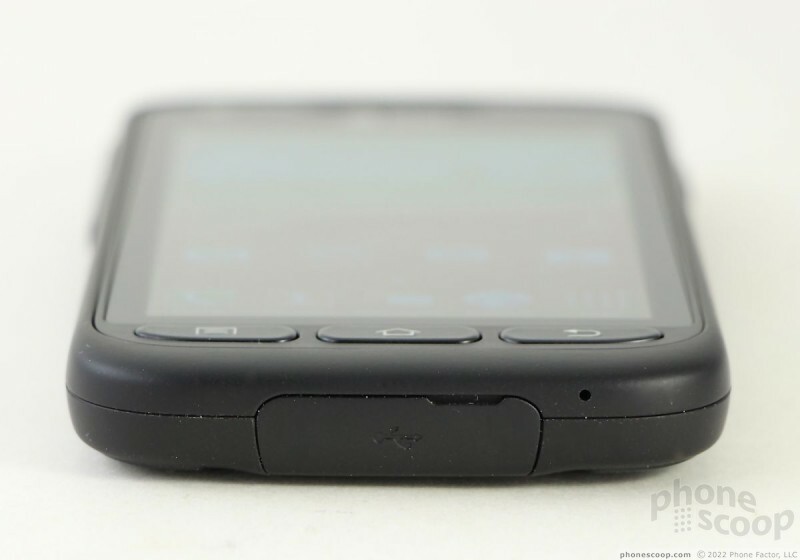 Once removed, you'll notice a large rubber square on the inside of the battery cover. This serves as a gasket so when the cover is properly installed it keeps water out. 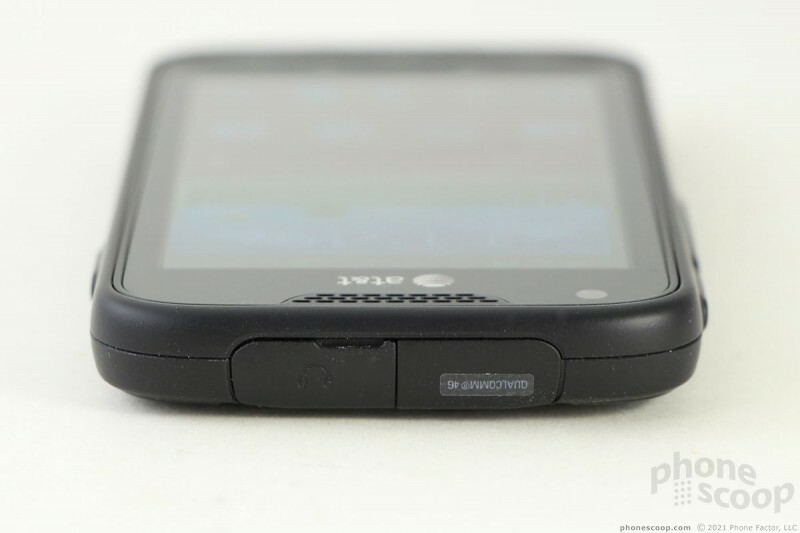 The battery itself is removable, and in fact has to be taken out in order to access with the SIM card or microSD slot.